Christy Rodriguez, an urban planner hired to lead the vision and implementation of the Region Reimagined project, stood near the entrance desk of the brightly lit Manhattan Chamber of Commerce, welcoming visitors into her office. Inside, six chairs surrounded an ovular conference table that dominates the room, perhaps as a symbol of how Rodriguez will spend much of her time as the Region Reimagined program director. Two floor-to-ceiling windows parallel one another, one along the interior of the office, giving passersby a transparent look into her conversations with community members, the other opening out onto Poyntz Avenue with a view of the Riley County Courthouse. The era Anderson referred to was known to most of the United States as a prosperous one. With the dot-com and real estate bubbles of the late 1990s and early 2000s, wealth, growth and fortune flourished in most communities throughout America. During this exact time period, however, the Flint Hills region limped along, experiencing a net population growth of only eight people. The ballooning national economy rendered itself unsustainable, and the nearly decade-long event referred to as “The Great Recession” followed, with dismal job growth and a loss of the opportunity for wealth creation available only a few years before. Yet this next decade of Flint Hills history once again defied the behavior of the rest of the country. Between 2005 and 2008, the region thrived as approximately 11,500 jobs were created, and the community saw a population growth of over 13,000 people. The cause of the strange aberration from national trends was, in short, troop movements in and out of Fort Riley. From 1996 to 2005, when national momentum and growth juxtaposed regional stagnation, the First Infantry Division left Fort Riley to serve in Germany for a peacekeeping mission. Conversely, when the First Infantry Division returned to the area in 2006, the immediate result was population and job growth, even while the rest of the country began plodding toward recovery from recession. In 2017, the Manhattan Area Chamber of Commerce commissioned Market Street Research, an Austin-based provider of community development and strategic planning, to create an assessment of the region, as well as a collaborative plan for the way forward, a project now called Region Reimagined. Born from the hopes of expanding on the historic relationships with Kansas State University and Fort Riley, Region Reimagined articulated a path beyond the growth and development anomalies created by these institutions. A 40-person steering committee comprised of community influencers and business leaders now advises Region Reimagined with Rodriguez at the helm as program director. Examining census and research data of Pottawatomie, Riley and Geary counties to create a larger picture of the assets and needs of the region, Market Street talked with local citizens via online polls and focus groups to learn more specific concerns and struggles, then reported progress and final results to the steering committee. Market Street’s research revealed four core narratives of the community. 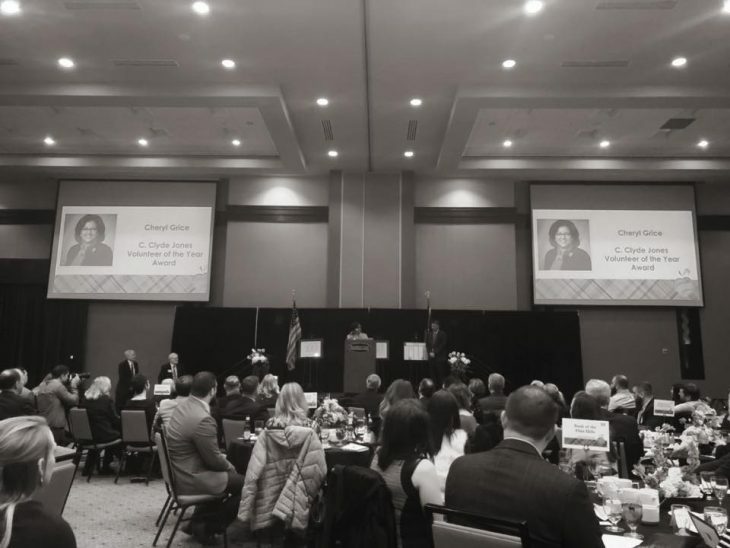 The first two stories that emerged emphasized the resounding theme of the region’s reliance upon Kansas State University and Fort Riley for population and economic growth, as well as the heavy dependence on public-sector employment. In particular, the economic impact that Fort Riley has on the Flint Hills region cannot be overestimated. The third narrative that emerged was a desire to diversify the region’s economic development through a combination of research and entrepreneurship. As this approach is already employed by larger universities, such as Johns Hopkins and Stanford, the report suggested expanding upon research already being done by Kansas State University to build local businesses and create additional jobs around new discoveries and patents developed by the university. The fourth core story from Market Street’s research suggested that while the region’s quality of life is attractive, it is likely unsustainable without a diversified economy. Indeed, the city of Manhattan regularly receives awards for the lifestyle it affords its residents, such as “#2 Best Place to Live in America” by Livability.com and “One of the Ten Best College Towns in America” by American Institute for Economic Research. Nevertheless, the ability to maintain this atmosphere of well-being for its citizens depends on the decisions to expand opportunities and strengthen a sense of identity and stability in addition to its historic support systems. In response to the four areas of growth potential, Market Street proposed a multitude of community planning and development strategies, which the steering committee clarified and voted into an order by priority. The final strategic plan outlined nine strategies to be launched and implemented over the next five years. Despite only recently finalizing her move to the area, her 8- and 5-year-old daughters arrived in mid-July to play soccer with Sporting Kaw Valley. 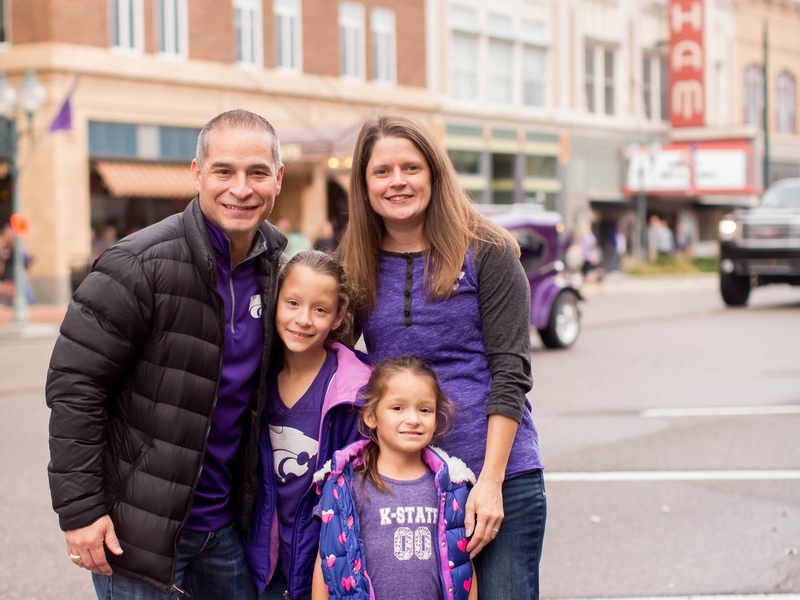 “I didn’t even know if I had the job yet, but we wanted to be here.” Her husband, Adrian Rodriguez, joined the Kansas State University staff as the first associate vice president for student life of diversity and multicultural student affairs in December of 2017. “I am happy to have our family reunited,” she said, smiling. “My husband and I are both Texas natives, but we got married in Wichita and worked there for five years.” She paused, apparently pleased to find herself back in Kansas raising her young family. “We used to live in Old Town when I was working with the city there. I loved Old Town,” she said while smiling with a twinge of nostalgia. “I worked with the Sedgwick County Planning Department there, and we did some neighborhood revitalization work along Douglas Avenue. I was part of launching the project, and I am very proud of the work they’ve done there.” She relaxed deeper into her chair, a soft-spoken confidence in her voice. 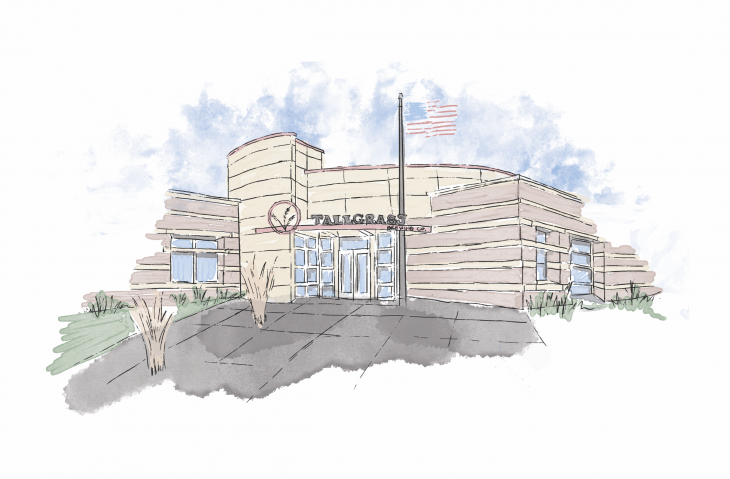 Rodriguez’ vision for the region springs from a love for her work and an appreciation for small communities developed in grant management for communities of populations 50,000 and below. “In a small community, there is an appreciation for the individual character of the community and historic preservation. The icons of the community are celebrated a lot more,” Rodriguez observed. Why Weren’t We Here 10 Years Ago? A young, diverse, and educated couple with elementary-aged children, Christy and her husband Adrian reflect a larger trend of young families making the Flint Hills their home. USD 383 enrollment reports show increased numbers of young families in the area, with a growing number of students each year for the past several years. In 2018, enrollment increased again by 127 students throughout the Manhattan-Ogden schools. Rod Harms, president of Civitas Group and long-time Manhattan resident, noted his own observation about the trend in young families in the area. “I’ve noticed more and more young families, both at church and in my work around town. This has been reflected in enrollment numbers as well, despite the decreased enrollment of Kansas State,” he reported. 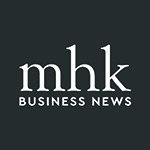 These developments are encouraging as two of the nine strategies outlined by Region Reimagined prioritized strategies aimed at attracting and retaining talent in the region. While the movement of young families to the region suggests this goal may already be underway, Market Street’s community conversations revealed an undercurrent of dynamics that prevent a majority of young people from enjoying the benefits of the area. Commonly named barriers were difficulty locating affordable housing and childcare, as well as a lack of opportunities for upward career mobility and a trend among millennials looking for a welcoming, ethnically diverse living and working environments. These obstacles reflect Market’s Street’s finding that without a diversified economy, the quality of life the region offers is likely unsustainable. Region Reimagined creates a unique opportunity to give up-and-coming leaders who remain in the area a voice in the conversation for how to solve some of these challenges and attract other young professionals like themselves to the region. Established community leaders like Harms believe initiatives like Region Reimagined are needed to raise up new leadership for Manhattan. The workgroups collaborating to make the strategies of Region Reimagined a reality are one of the ways in which new leaders are coming together to share their vision for the area and work to see it become reality. Sheila Ellis-Glasper, owner of SEG Media Collective located in Manhattan and an African American business owner, is a member of the Entrepreneurship and Innovation workgroup who sees her involvement with the initiative as an open door to influence the region for an upcoming generation of diverse young people entering the workforce and looking to make the Flint Hills their home. She initially hesitated about returning to the area to start a business and raise her ethnically diverse, young family, admitting she was unsure about the success she could have as she had not seen many other successful minority business owners in the area. 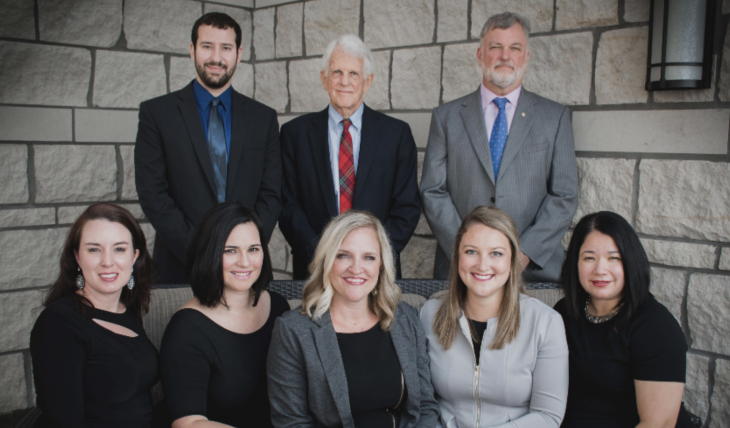 After spending three years working at Kansas State University and leaving to start her own business, however, she and her family purchased a home and made the decision to stay and invest in the community. As Ellis-Glasper noted, her decision to stay in Manhattan and grow her business reflected her experience of the region as supportive to growing business. In his city leadership role, Jerred McKee felt homegrown talent tends to value the community and wants to invest in both small and significant ways. “Companies like 502 are homegrown talent giving back to the community,” McKee said. Sarah Siders is a freelance writer, author and small business coach who specializes in leadership and healthy relationships.